Maher was held in solitary confinement in New York for two weeks before US officials decided to ‘deport’ him. Maher was a dual citizen of both Syria and Canada who lived in the Canadian capital Ottawa. He should therefore, at very least, have been deported to Canada. Instead officials arranged for Maher to be rendered to Syria – a regime well-known to the US to employ torture – as a suspected terrorist. Note the formulation – ‘we tried to find anything.’ Maher recalls being asked the same questions in Syria that he had been asked in New York and drew the inevitable conclusion that US officials had been pulling the strings throughout his detention. Maher finally made it back to Canada after more than a year in captivity to be reunited with his wife and two young children. He began to campaign almost immediately for justice. 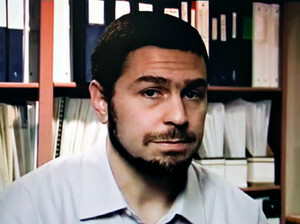 In January 2007 the Canadian Prime Minister Stephen Harper issued a formal apology to Maher on behalf of the Canadian government and announced that Maher would receive a C$10.5m settlement in compensation for his ordeal. However, from the United States – the country that detained Maher and which deliberately and willfully rendered him to Syria to be tortured – there has been only deafening silence. The Obama administration has actively taken steps to oppose and frustrate Maher’s attempts to gain remedy in American courts for the ill-treatement he suffered as a direct consequence of US actions. To add insult to injury Maher’s name still appears on the US ‘no fly’ list making international travel for him both extremely difficult and hazardous. This is quite simply wrong – on both counts. The United States has an international legal obligation to provide remedy to individuals who are wrongly detained and subjected to abuse. It also has a moral obligation to make this situation right. It shouldn’t be a hard decision. If Canada can do it, the US can too. Amnesty International is working with our partners in the National Religious Campaign Against Torture (NRCAT) and the Center for Constitutional Rights (CCR) to put pressure on the Obama administration to search its conscience, recapture the spirit of hope and change that imbued the 2008 campaign trail, and actually make amends to someone America has wronged. You can add your voice to those calling for America to do the right thing by tweeting @barackobama or calling the White House comment line on (202)-456-1111 and highlighting Maher’s case. It is, quite literally, the least you can do. This entry was posted in Security and Human Rights, Torture, USA and tagged Abdullah Almaki, Canadian Security Intelligence Service, CSIS, Demand Accountability for Torture, maher arar, security with human rights, Syria by Tom Parker. Bookmark the permalink. This frenzy hasting to detain people and assume them guilty and or hold them in suspicion is way out of hand in the USA. People are projecting their FAILURE to be self-governing and now turn with utter suspicion and contempt onto foreigners and the federal government. I pray President Barak Obama will get reelected and bring order into to all the racism and hate spurned on by uninformed overzealous people, who think foreigner hurt America, when it is LOCAL corruption and pilfering from the Federal Branches and medical frauds and insurance frauds ans many more lawbreaking I have witnessed in Montana, that is truly hurting this nation. And for the Americans to treat a foreigner so harshly and breaking the spirits of people in ALL WALK OF LIFE and in many more forms than this particular case taken to painful extremes.I have suffered false imprisonments and humiliations and injuries being kept of the records, while they have spend years trying to brek me to live up whatever it is they slanderously profess me to be on their papers, and know well of the utter sense of dehumanizations and the sense of abandonment and the sense their is no help, because it happens with the help of law-enforcement eagerly lending itself to believe every LIE and with the help of Courts taking and segregation stance against foreigner, treading them as a threat and menace, when in fact is they how behave so low and shabbily. Poor Mr. Arar has my heartfelt sympathy. And truly I wished I was not so impoverished and defenseless against bias, prejudice and segregations becoming an everyday American occurrence, with bad and lasting scars on the demoralized wronged victims. I truly believe President B. Obama is well aware of these INTERNAL conflicts being spurred by racism under the guise of national security. These are hard times for all innocent people, because the homeland security act has flushed them out into the open and is in the long run a sword that cuts both ways. I just cannot afford the luxury of giving up hope, that many of the current Presidents executive orders will be to great benefit to the good people willing to work and be law abiding participants on US soil, regardless their gender, race, religion or nationality. Thank you for letting me share with you. I just know in my heart of hearts that President Obama is one the good peoples side! Its the many wrong people who make America so difficult at this time and the great disrespect toward its highest leadership and it just trickles down the lines into the everyday lives of the unsuspecting and innocent, like Mr. Arat and myself.. If Harper, the Rush Limbaugh of Canada apoligized, then anybody can. Shouldn't George Bush be doing theapology? An apology from every American, in writing, would be very nice, and thoughtful, too. A boon to the economy, too, if Hallmark cards are used exclusively. Factual Error in your report. Arar was renditioned from America to Jordan not Syria. The Jordanian royal family being contributors to Amnesty it does not surprise me that you "forgot" to mention this interesting tidbit. Only after first abuse in the Jordanian tyrant's dungeons was Arar then sent on to Syria for further torture, handed to Syria by the Jordanians, not the Americans.